I added two new ones to the AM radio log. At 2305Z on the 13th - heard WWRC on 1260 kHz running 5 kW out of Maryland suburbs of Washington, D.C., 280 miles to my west-southwest with an S0 to S5 signal. 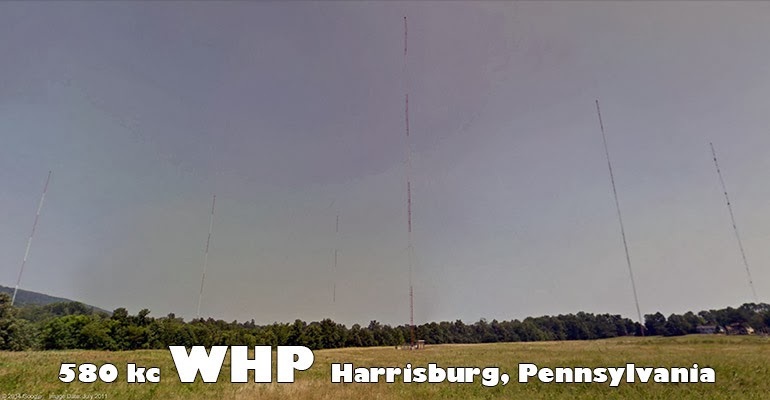 At 2233Z on the 14th - heard WHP on 580 kHz running 5 kW out of Harrisburg, Pennsylvania, 230 miles to my southwest with an S4 signal. Equipment used the C.Crane CCRadio 2E Enhanced radio with the Terk Advantage antenna.